It's time to plan the Ultimate Mackinac Island Vacations!! Planning creates a stress free and fun Michigan vacation for everyone! 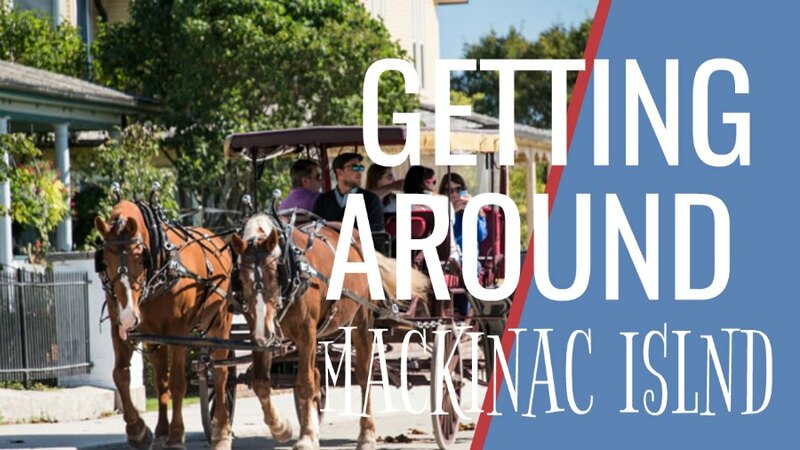 If you love relaxing, exploring, fudge, carriage rides, butterfly houses and biking, Mackinac Island is for you! Make memories with your family and friends while exploring the beauty of Michigan. 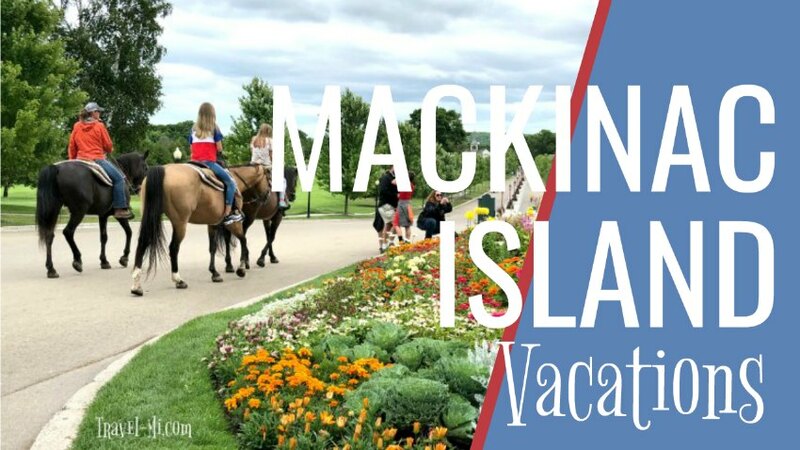 Lots of hotels, things to do and places to eat on Mackinac Island! 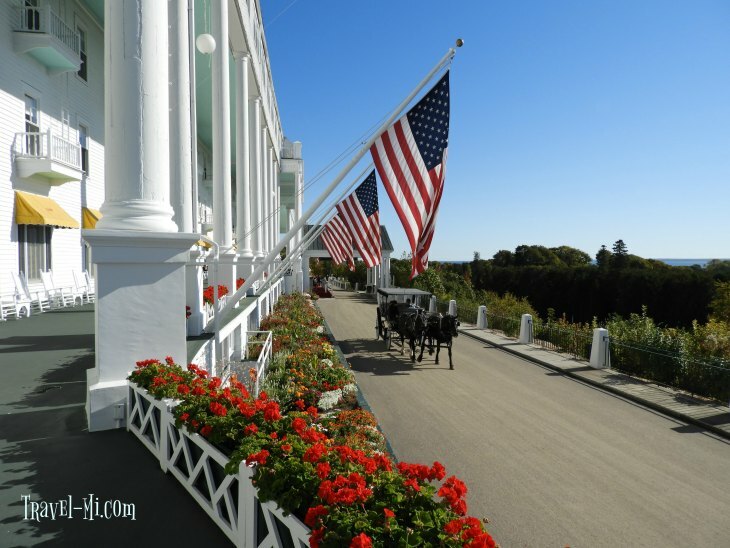 We have the ULTIMATE Mackinac Island Vacation Guide! Click below for lots of links to help you plan your vacation and read a first hand account of our featured contributor, Larry Collin's vacation. 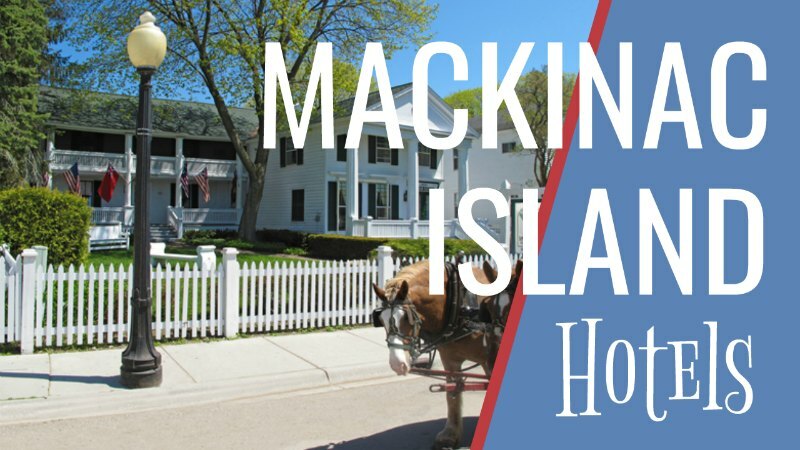 Also, here is a link to our Mackinac Island Home Page. 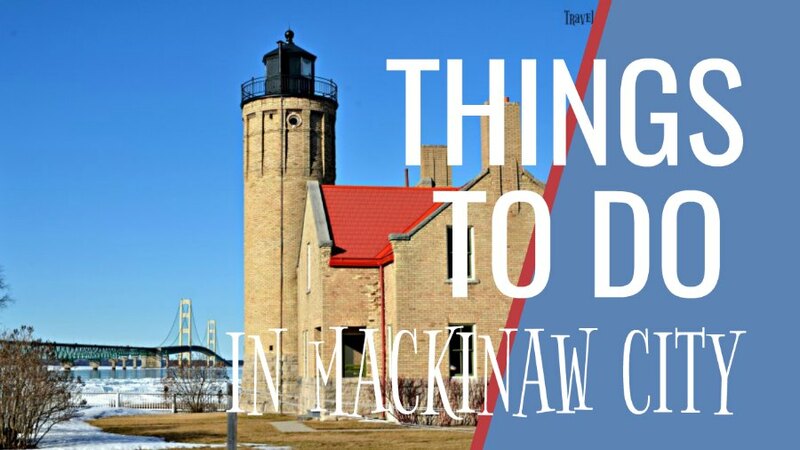 Mackinaw City on North M75 is our destination stay for the day trip to the Island. There are plenty of hotels ranging from $100 and up depending were one stays and the time of year. 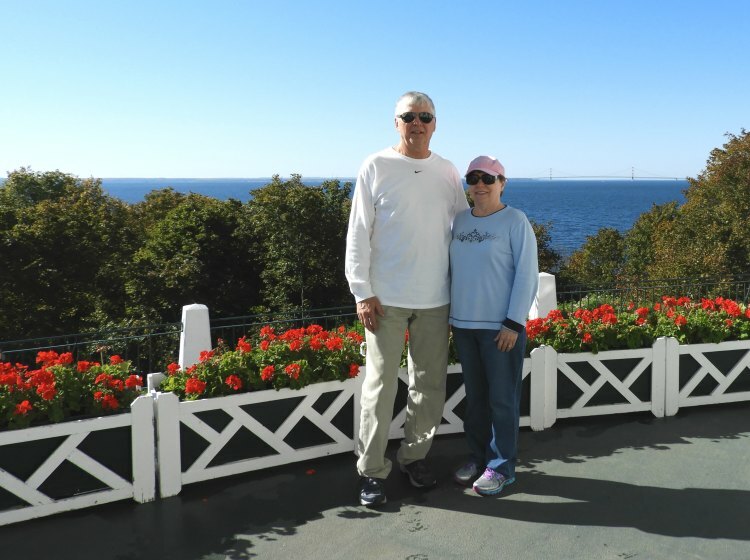 My wife and I like the view of the Mackinac Bridge, State Park, and the Mackinaw Point Lighthouse so we stay at the Parkside Inn on North Huron Avenue. The hotel has a very nice hot breakfast. We enjoyed egg and sausage muffins, fresh strawberries, cereal and a variety of rolls. Our room was very simple and yet the bed was comfortable so we slept well. One could stay on the Island if you are willing to pay quite a bit more. After checking in, we walked across the street to take pictures of the lighthouse, park area and the famout Mackinaw Bridge. Hunger begins to set in so we walked back to the hotel, got into the car and drove a mile into (we could walk it but……) downtown area. Our favorite place to eat dinner is at Dixie Saloon restaurant; perch and burgers are excellent. We like to go upstairs and eat in the balcony area (log cabin feeling and looks). For dessert we enjoy indulging in one of the local ice cream parlors to buy Mackinac Island ice cream. Of course, we also HAVE to purchase a pound of Mackinac Island fudge which go directly to your waistline expansion....however, we forgot to count these calories! There are lots of things to do in the town, including shopping, zip lining, mini golf and boat tours. The next morning, we boarded Shepler’s Mackinac Island Ferry to head to the Island on the 10:00 a.m. ferrry. This Ferry trip is a little longer (about 20 minutes) because the Ferry will go under the bridge (view of the structure of the bridge) and then continue on to Mackinac Island. Shepler’s does give a military discount for active or veteran service. 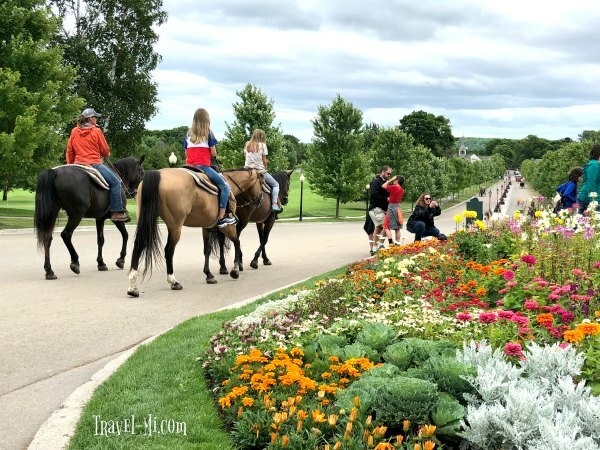 The first thing to do, if you have not been on Mackinac Island Vacations, is to take a carriage ride to see the sights and get an overview of the island. I also suggest touring the fort and seeing the cannon firing. Be sure to visit the Grand Hotel and walk down Main Street. The Grand Hotel has a nice lunch (around $11) on the first floor (note there is no tipping; so do not leave a tip). You can also go upstairs to the Grand Ballroom and have lunch for $35 (estimate) for an all-you-can-eat high quality buffet style meal. My wife and I also love to take time out to sit and enjoy the view on the veranda (note: it will cost you $10 each to do so unless you eat the $35 buffet style lunch which includes the self guided tour of the Grand Hotel). If you want to view the entire island, I recommend renting a bike, riding a horse, taking a horse and carriage tour, or if you are ambitious, you can walk it. It is a great way to spend your Mackinac Island Vacations. There are no motor vehicles allowed on the island but you still have to watch where you are going as the streets are very busy with pedestrians, bikes and horses. Remember to watch where you’re walking as you do not want to step into anything wet or mushy...let's just say it could dampen your day!!! Enjoy Michigan’s greater outdoors~We sure do! What Should I Bring on Mackinac Island Vacations? There are small lockers as soon as you leave your ferry if you want to stash lunch, a sweatshirt, compact umbrella, sunscreen, etc. We always bring non-refrigerated snacks like tuna packets, cheese (it lasts long enough), Pringles, beef jerky and water. We have these zippered bags that attach to our bikes with velcro so you can remove it if necessary...if you keep valuables in it. I love that my phone is visible in the clear top pocket. extra sweatshirt if you get cold on the ferry or while exploring the island. water, snacks, lunch, etc. Of course these is food and snacks on the island but if you have dietary restrictions bring food. Join Us on Instagram! Fun photos, inspiration and stories while Traveling Michigan!